One thing that’s been on my mind over the last couple of weeks is how for some people it can be daunting to rock up to a new class or sign up and come along to try yoga for the first time. Your inner voice can sound quite loud at this point… “I’m not fit enough” “I’m overweight” “I’m not flexible enough” “I’m not confident enough” “Everyone will be better than me in their head to toe Lululemons”. All I can say is that Yoga is for everyone. Regardless of shape, size, age, fitness level or body shape. You take from the practice what you need and you will hopefully leave class feeling relaxed and refreshed and more in tune with your body and mind. When I try a new class for the first time, I feel that same slight anxiety because I don’t know the teacher, the studio, who will turn up or what we will be doing. For instance, when I was up in Birmingham over the new year I tried my first hot vinyasa flow yoga class. I didn’t know what to expect at all and have always been put off slightly at the idea of yogaing in 40 degree heat! But it was brilliant. Plus I learnt you can actually drop sweat from your inner forearms (who knew). It gives you a boost when you try something new, unfamiliar or out of your comfort zone. It builds confidence and self-esteem. So, if you are doubtful about coming to class or trying yoga, please give it a go. Ignore your inner critic and be kind to yourself. It may not be for you but I think that everyone can take something beneficial away with them. The first time is the hardest when you try anything new but week on week you will build strength and fitness plus become more in tune with your mind and breath, which can reduce stress and anxiety. If you have any questions or worries, please message me, I’d be so happy to help. 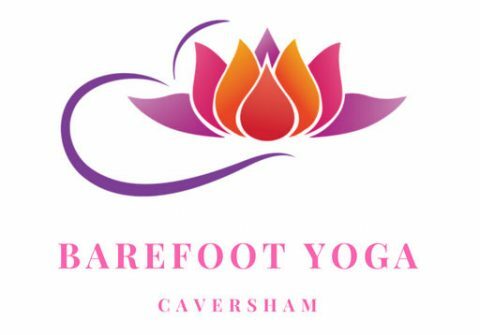 Friendly hatha yoga classes for all ages and abilities. The class combines slow warm-up stretches, an awareness of the breath, a flowing energising sequence and a lovely relaxation at the end.